The healing power of ayurveda is well documented. Often referred to as the "science of life", Ayurveda aims to achieve holistic development of the mind, body and soul of any individual who abides by this age old practice. Optimistic thinking, regular exercise and the yogic techniques of meditation and breathing may take you places and keep your body calm and balanced. Our diet too has a significant role in our life and has the power to heal when consumed the right way. 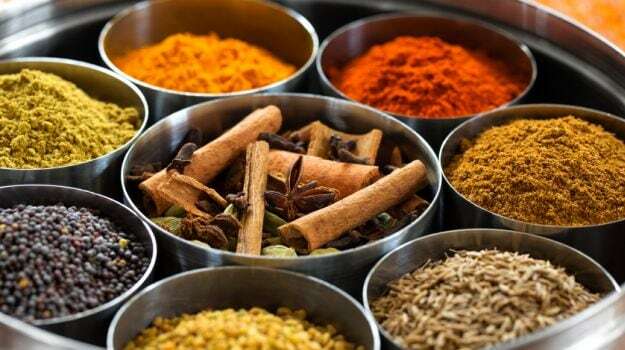 What does hot and cold food mean according to Ayurveda? One could think of the meaning in two ways. Firstly, based on the physical temperature of the food product. Secondly, and more importantly, from the Ayurvedic perspective, hot and cold foods are based on the internal nature of the food product which would have diverse effects on the three body types (vata, pitta and kapha) as classified in Ayurveda. This classification of food as hot and cold or its innate characteristics is referred to as "Virya". Simply put, Ayurveda tries to assess whether a particular food item has a cooling or a heating effect inside our body which in turn has an impact on our metabolism and digestion. 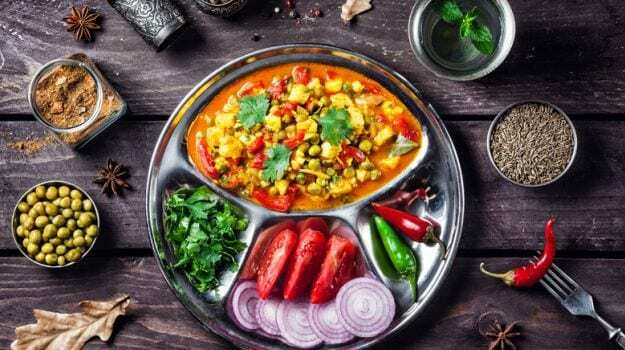 Talking about the external temperature of the food, freshly cooked food like dal, for instance, may be misconstrued to be classified as "hot" and frozen ice-cream as "cold", however, in Ayurvedic terms, ice cream actually occupies a place in the "hot" food category. Sounds ironic, doesn't it? According to Ayurveda, there is no direct correlation between the physical temperature of a particular food item and its internal nature. Here's a list of Foods that are termed 'hot' under this Ayurvedic principle. 1. The most commonly consumed hot foods include onions, black pepper, garlic, ginger and spicy foods. An Ayurvedic diet would avoid these ingredients. 2. A huge list of vegetables comes under the category including potatoes, broccoli, spinach and beans. 3. During the winter season, in order to keep the body warm, root vegetables like carrots, radish, turnips and so on which are innately hot, are highly recommended. 4. Fresh fruits like apples, oranges and mangos are also classified as "hot food." 5. Spices like ajwain, mustard and hing (asafetida) help provide relief from common ailments like colds and flu in the winter season. Belonging to the hot food category, they help boost immunity. 6. Herbs like basil, oregano and mints are known to be warming too. Here's a list of Foods that are termed 'cold' under Ayurveda. 1. Under the category of cold foods, come fruits like bananas, strawberries, watermelons, kiwi and apricots. Not surprising that they are summer favorites due to their cooling nature. 2. Dairy products like milk and yogurt, cream and cheese also have a cooling effect on the body. 3. All soy products including soy milk and tofu belong to this category. 4. Several hot beverages like green tea occupy a place in this category. Cold foods help clear the toxins and in turn provide a soothing effect on the body. 5. Vegetables like mushrooms, tomato, asparagus, lettuce and egg plants are easy to digest in the summer months due to their inherently cold nature. 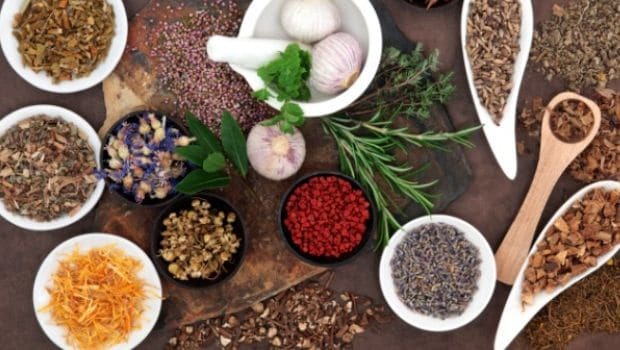 According to BN Sinha, Ayurvedic Expert, "The nature of the body type plays a major role in guiding us about the kind of food we should be eating. In case one consumes excess of hot foods, the amount of heat the body produces increases. It also causes a burning sensation and the pitta dosha increases. This can lead to trouble in our digestive system, lose motions, skin rashes and even boils." What about cold food? "Delayed digestion and frequent bouts of flu, cough and fever may be caused due to excess consumption of cold foods," he shares. Simply put, Ayurveda tries to assess whether a particular food item has a cooling or a heating effect on our body which in turn has an impact on our metabolism and digestion. It is essential to note that consuming foods without considering one's body type and ignoring this distinction between hot and cold could have adverse effects on our health and make us more susceptible to diseases, according to the science of Ayurveda.